You won’t stumble across a teddy bear's picnic but if you go down to the woods today, you’ll be sure of a big surprise…Little creatures may appear, there may even be butterflies! 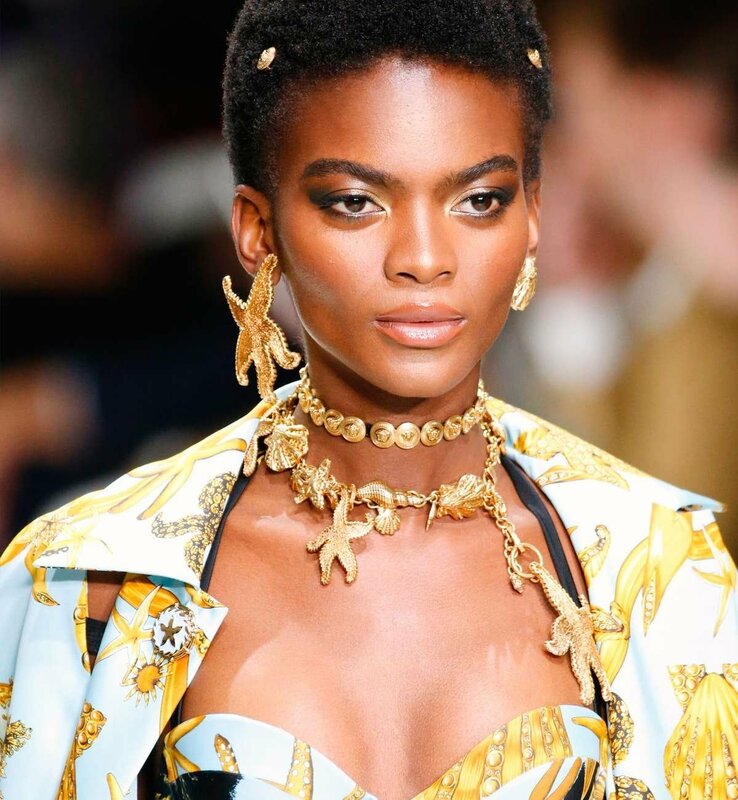 Get onboard with this seasons’ hot new animal trend and let JewelStreet guide you through our forest of beautiful animal inspired jewellery. It’s definitely a challenge to translate an animal’s spirit or its natural movement into jewellery. On JewelStreet, you can find amazing animal inspired jewellery created by our incredibly talented independent designers. 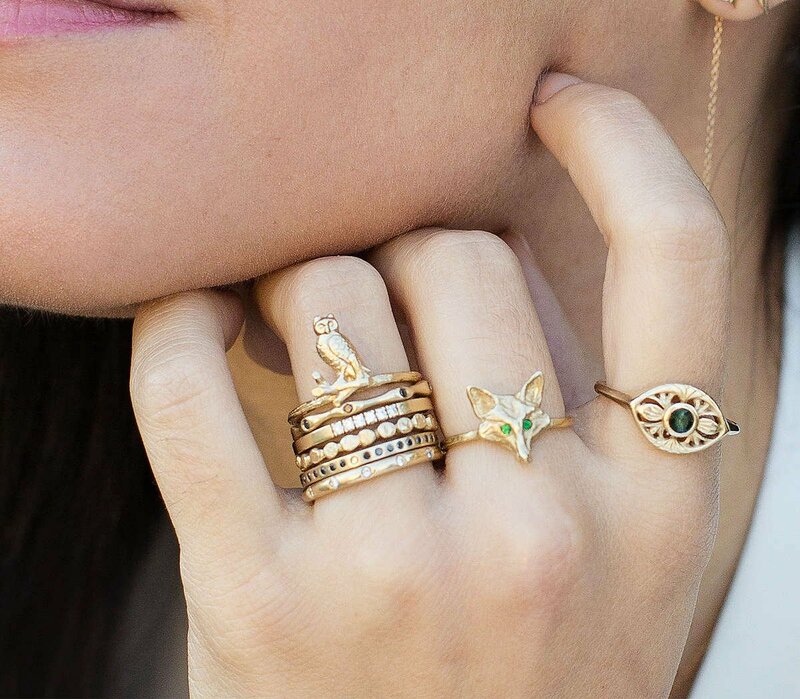 This animal trend is not one you want to let stampede past you - allow slithering snakes to make a statement climbing up your wrist or have exotic birds fly from your ears. 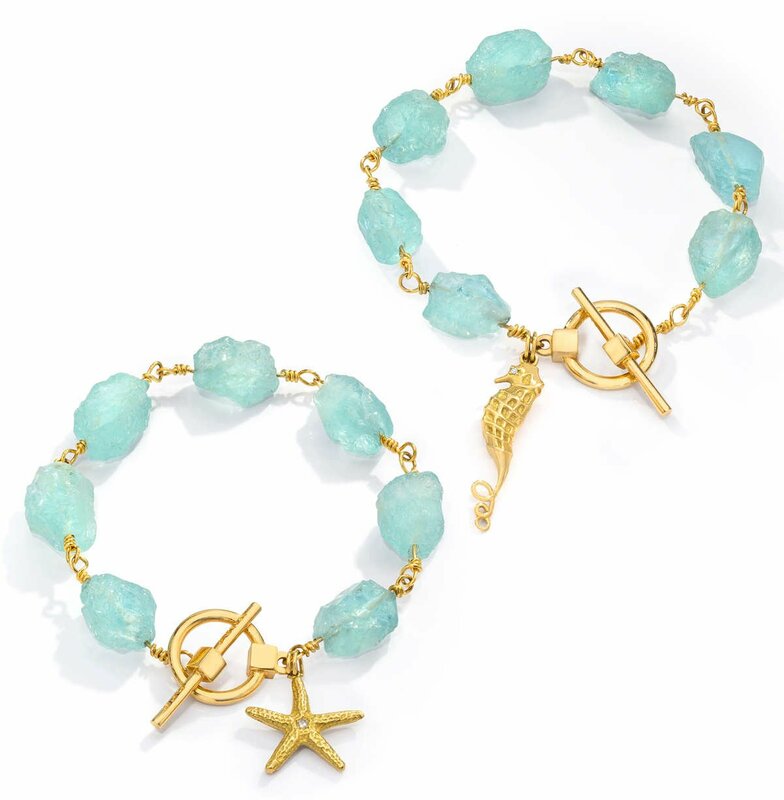 From the minimal to the mad, dazzle with all types of animal charms on your favourite bracelet. Choose from one-of-a-kind rings that will catch everyones eyes, from the simplest of animals to the gemstone coated. Do you have more of a subtle and sweet style? Discover our dainty and unique kittens and cuddly puppies jewellery. Aren't animals just the cutest things on the planet? If cats and dogs aren’t your favourite animals, what about the beautiful bees and butterflies? 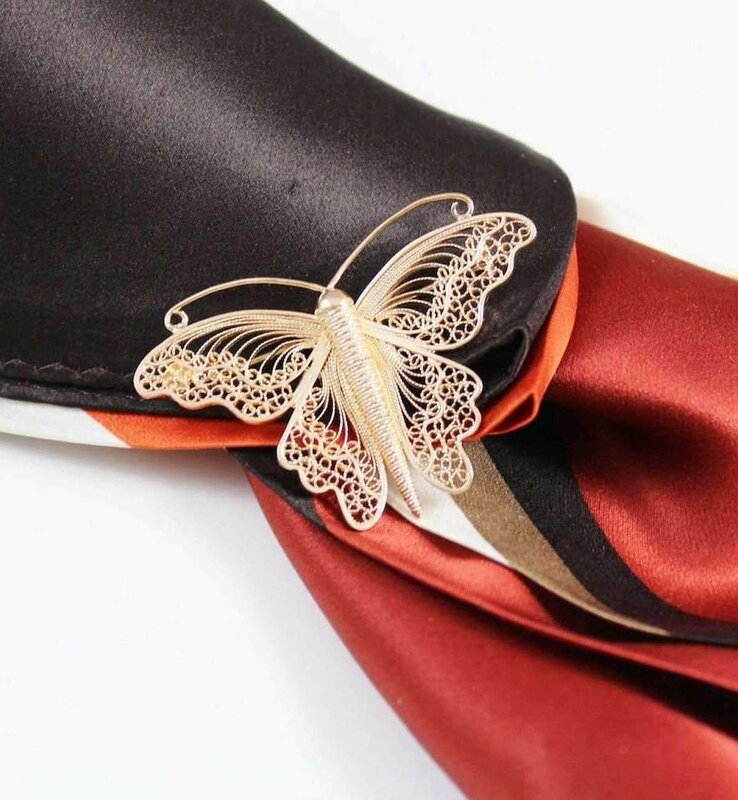 Let gorgeous butterflies flutter on your ears for that elegant look. Like the cheeky monkeys and wolves? Watch fiery wolves take pride of place with our everyday wear ring collection. 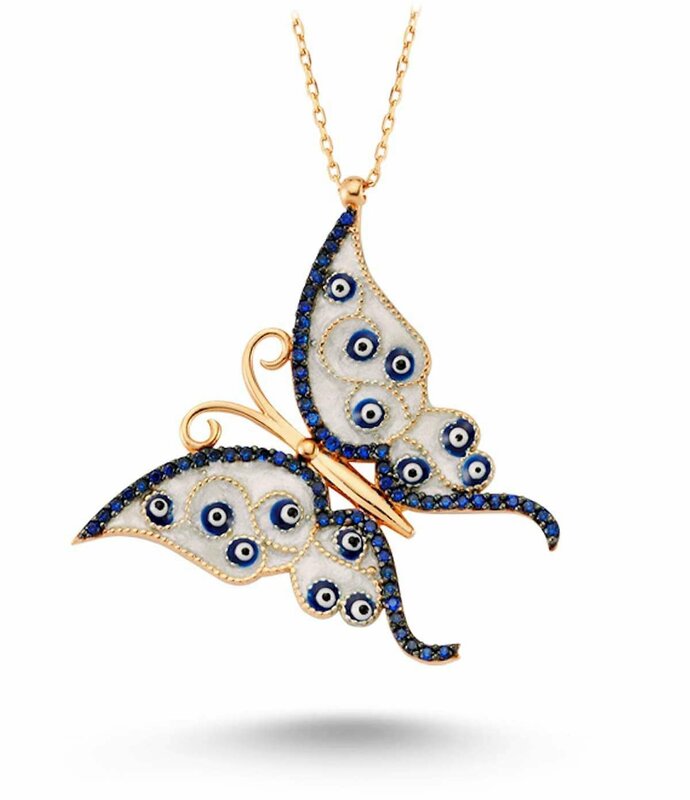 JewelStreet has selected a large range of stunning animal jewellery to feed your animal addiction, and make you look fabulous at the same time! The SS18 collection can be described in one word… BOLD. Gigi Hadid donned yet another set of animal wings (don’t worry you haven’t missed the annual Victoria Secret Fashion Show), this time the delicate yet powerful accessories were courtesy of Bottega Veneta. What better way to kick off Spring than with some gaudy-but-glamorous-AF animal earrings? In collaboration with costume jeweller, Lunch at The Ritz, Brandon Maxwell did just that, offering up the colourful, crystal-encrusted statement animal earrings on a plethora of high profile models including sister act; Gigi and Bella Hadid. Normally seen marching to the sound of their own drum, Fashion power house Chloe surprised many with its unusually reserved, trend-adhering collection. 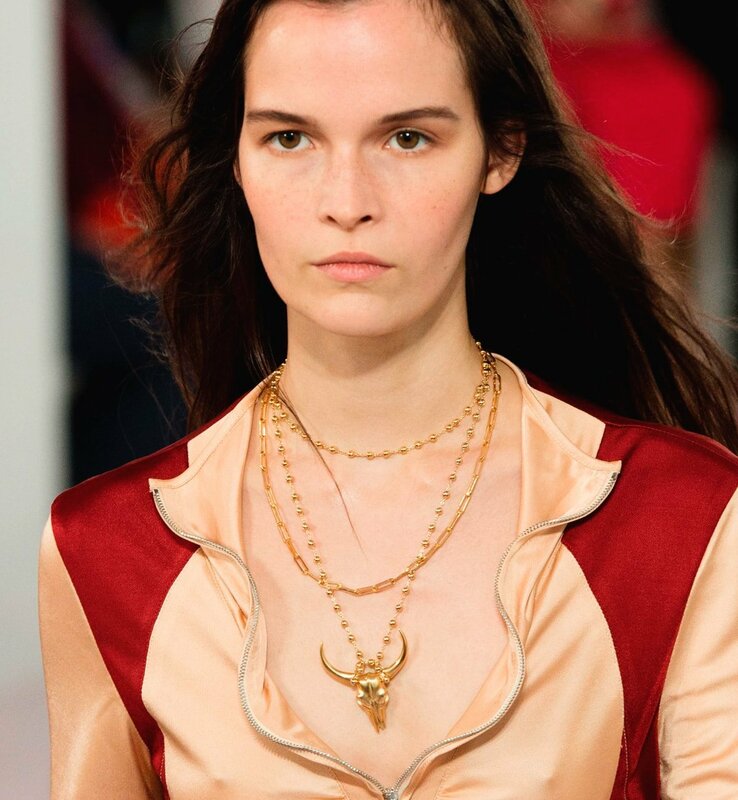 Layering animal necklaces are still a big trend to watch out for and Chloe went the extra mile by layering beautifully golden animal motifs. As you know, the forecasted S/S18 accessories have a floral twist (naturally) but did you expect the streams of woodland animals intertwined with the industry’s favourite spring trend? We certainly didn’t. The world's leading design houses looked to man's best friend for guidance. 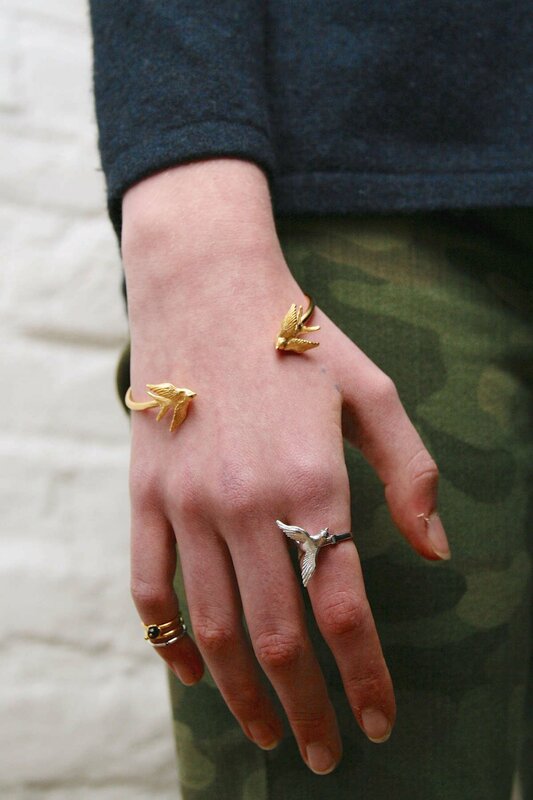 Marc Jacobs paired beautiful, gemstone encrusted lizards and ladybirds with his floral jewellery pieces. 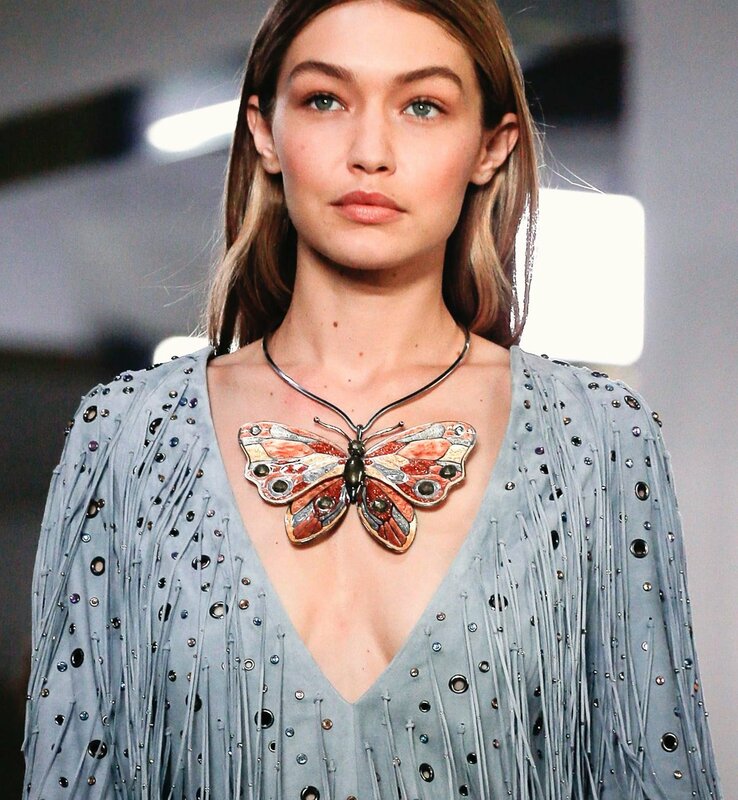 Gigi Hadid donned yet another set of wings, this time for Bottega Veneta. 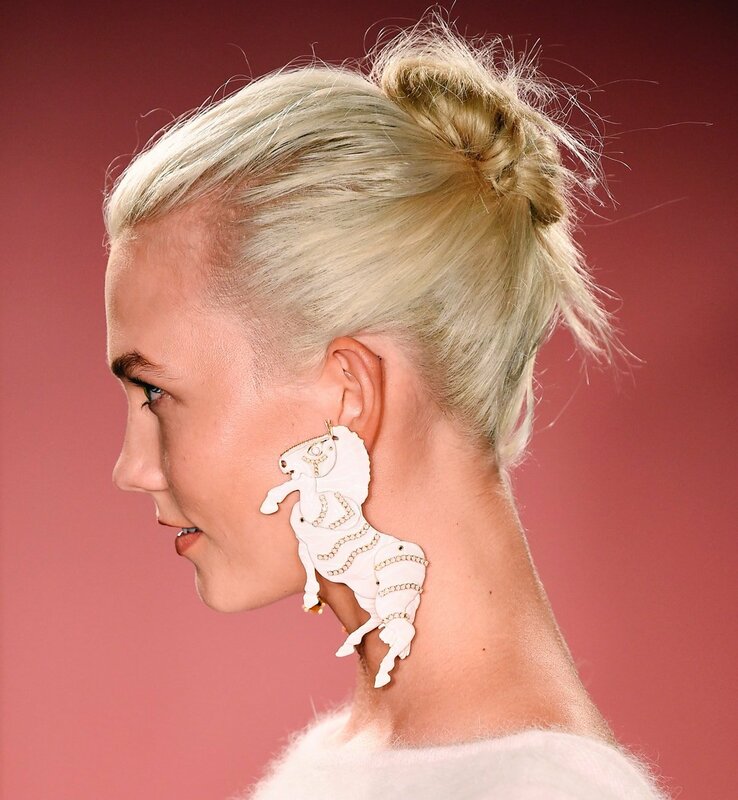 And who could forget Karlie Kloss walking herself and a pair of dazzling equine inspired earrings down the runway for Brandon Maxwell. Woodland animals and creatures venture far from the forest in this ethereal animal trend and collection. 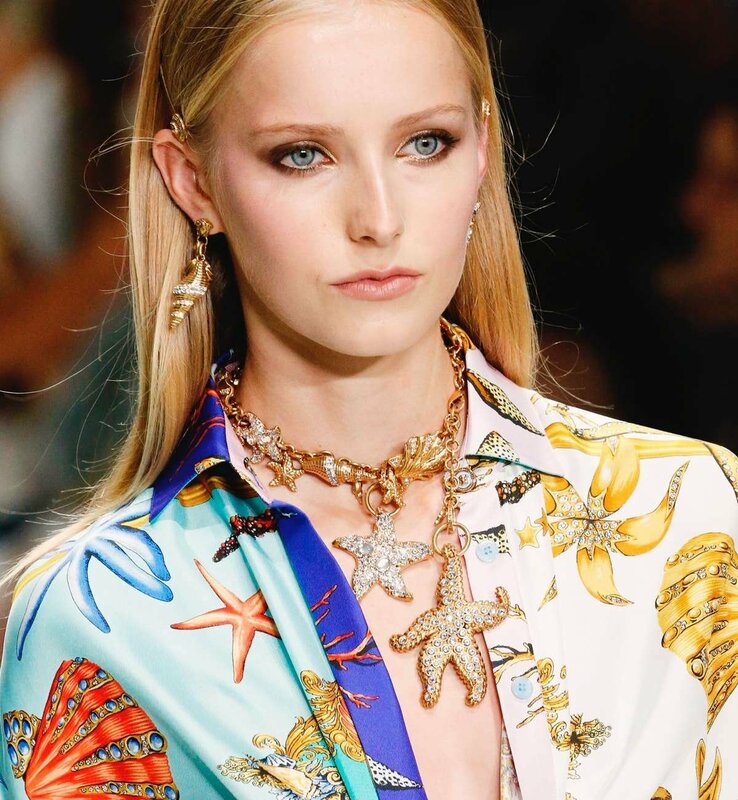 Not limiting themselves to just floral and vegetable jewellery pieces (strange we know, we still can’t get the image of the weirdly wonderful carrot crown out of our heads) Versace also produced a family of statement starfish! The well-loved fashion house took the animal trend and moved it in a fresh direction, exploring sea life instead of woodland animals and creatures! 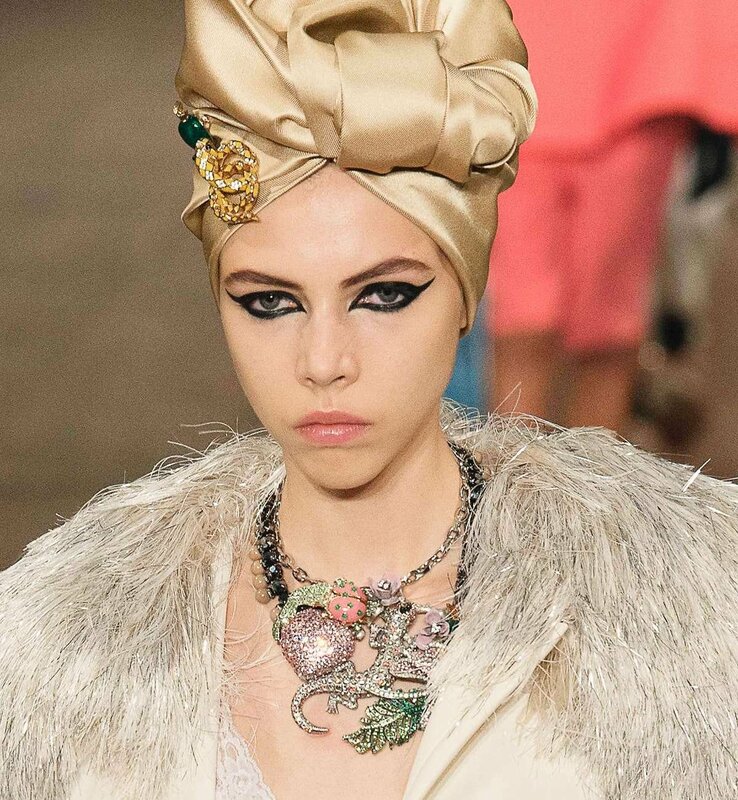 Intertwined between an abundance of over sized flowers, giant daisies, sequins and silk turbans, Marc Jacobs put on an extravagant display of animals including diamante lizards and adorable ladybirds. The retro-inspired animal pieces at Marc Jacobs continue to be whimsical and we’ll say it again. Were. Just. DREAMY.